Summer is quickly coming to a close in the Southern Hemisphere. 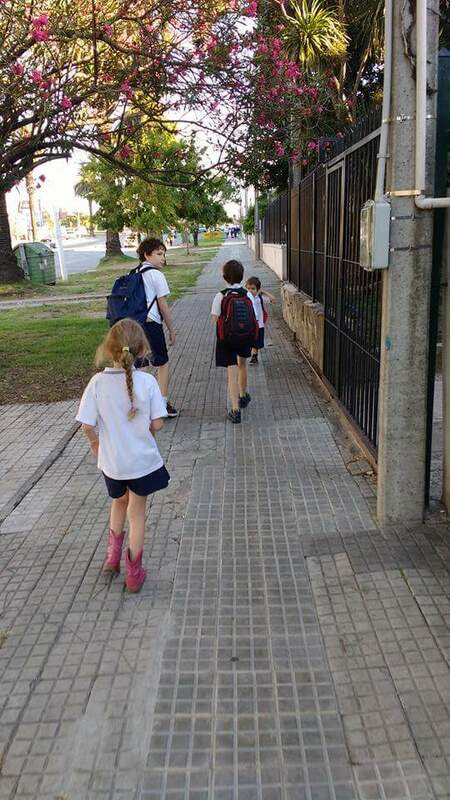 Today was the first day of school all across the city of Montevideo￼. Because our seasons are opposite of the Northern Hemisphere, the school year runs from March through December. Six of our 8 children began their school year today (the oldest is in college in the US and the youngest is too little). We have 2 teenagers that are being homeschooled, and as of today, we have 4 that attend a local private school. How to educate the children is often one of a missionary family’s biggest challenges. In some cities there is a school for missionary kids, or for foreign children. 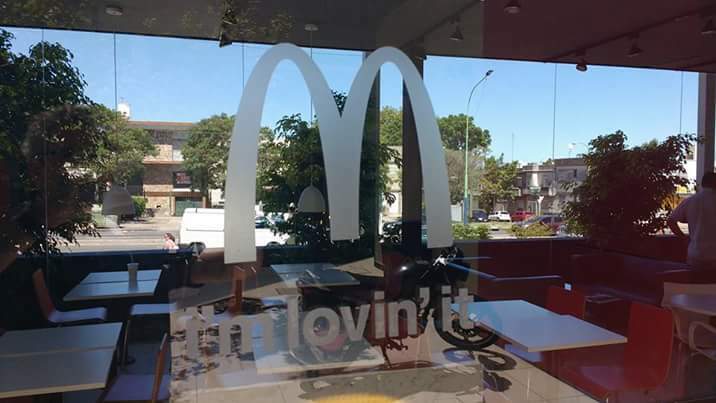 There is an American school in Montevideo, but from what I have heard it is priced far beyond a missionary salary. Likewise, there are quite a few bilingual schools, with English and Spanish; but they are likewise priced beyond the average family’s means. So most missionary families here actually choose local Spanish-only schools for their children. We have always homeschooled, and we had planned to keep that up. But the reality of living in place where education is highly valued but homeschooling is unheard of means that it can be very challenging for a homeschooling child to learn the language/culture or to make any friends. So when we arrived three summers ago, we sought to find a school where our younger children could integrate. We feel blessed to have found a small private school near our house. This year, our children’s class sizes range from 6-10 children in each class. Being that it is a small school, rules tend to be relaxed, and the administration all know our family and our children. And although we are the first Spanish as a Second Language family to ever attend, the teachers have time for a degree of personalized attention. One of the things I cherish the most about the school is that it is “half day”. Our enrolled children range from pre-school to 6th grade, and this year they will attend mornings–from 8am to noon. As the year gets going, it is possible a few of the children will need to stay later on some days to attend their English class, or dance or music class. I have always thought that I wouldn’t mind sending my children to school to get the basics, if it were just a short day; then we could handle Bible training, character training, and developing a love for learning at home. I said this long before we ever moved to Uruguay and had the opportunity to find a genuine school that offers half days. This type of schedule is not uncommon in Latin America, although longer school days are becoming more common. I was talking to a school psychologist here a few months ago who said that indeed the half day is becoming more and more uncommon in private schools in Montevideo. So maybe I am part of a dying breed that believes that “less is more” when it comes to academics in elementary school, but I am sure pleased to have found our little “half day” school! What is it like for a child to begin at a school where they don’t know the language? Well, in reality it isn’t always easy! I am happy to say that the three who are returning this year seemed to understand everything that was going on today. The 6th grader had homework that he copied from the board. The teacher spent a long time explaining it in class. He was able to relate pretty much everything she said, and yet he and I were still at a loss as to what to do. So we called one of his classmates. After a lengthy conversation, a little bit of light was starting to peek forth, and I think he was able to do it correctly. The problem is that we understood all the words, but were missing the subtle meaning attached to them, the parts that the parents and teachers and the children know because this is what schools do and having been doing for a long time. One example of this is the directions to bring a gift for Day of the Friend. They all know the types of gifts that are appropriate. We do not. It is like if you had never celebrated Valentine’s Day and your child’s school said to bring Valentines to class to share. You may wonder, do they bring one for each child? Do you put the name of the child on them? Is there something different for boys versus girls? How much money should be spent? Does it need to be homemade? Does it need to be bought? These are the types of subtle struggles we face. We are beginning our third year in the school, and I can say that we arereally getting the hang of so many things, but that doesn’t mean we’ve mastered it! The first day went well for all of my children who are returning. My four year old started school for the very first time today. It involved a bathroom accident plus lots of tears. We celebrated our first day by going out to McDonald’s for lunch after school. While there, he demanded to know why I left him at school ALL DAY LONG. Poor guy. He is also telling us that he is not planning to go back. We are praying that he will adjust well. I am thrilled that he has just 6 kids in his class. He is in morning school, but afternoon school is more popular for the preschool set (it goes from 1pm-5pm and is easier for young children because the dinner hour for most families is 10pm). Being that it is a small school, my older children see him at snack time. That also helps with his adjustment. Although there are no easy answers to the issue of schooling on the mission field, the Lord is providing for our children. Even the homeschooling of the teenagers has its challenges when there isn’t a community of homeschoolers; but God is looking out for them as well.